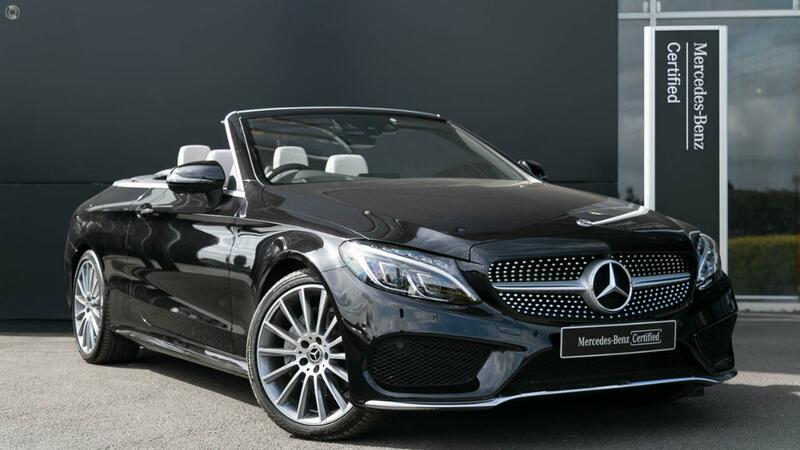 Australia's Most Awarded Mercedes-Benz Retailer proudly presents this Certified low kilometre Executive Driven C200 Cabriolet featuring Fully-Factory-BAcked Warranty right through to June 2023! Highly specified perfectly presented in the stunning combination of Obsidian Black Metallic over contrasting Porcelain & Black Leather riding on Factory-Fitted AMG 19-inch 14-Spoke Alloy Wheels featuring Warmth Comfort Package with AIRSCARF and Heated Seats and Smartphone Integration via Android Auto or Apple CarPlayTM. Take the wheel of your breathtakingly beautiful C200 Cabriolet with absolute confidence - ONLY from a Certified Mercedes-Benz expert and the reigning "Mercedes-Benz Metropolitan Retailer of the Year" again, for the 5th time in 6 years! - Partially automatic boot separator. - Sports suspension with Sports Direct-Steer system.